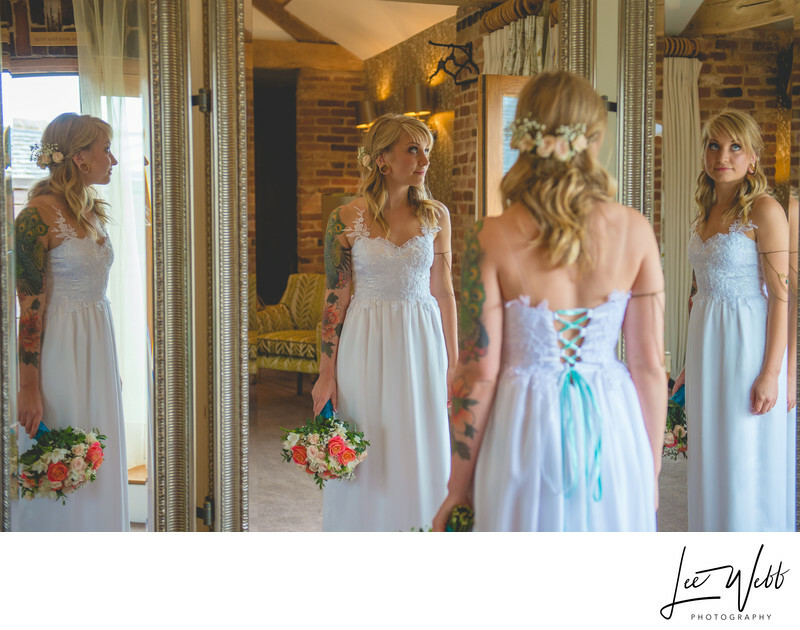 A bride looks in the mirrors of the bridal suite of Mythe Barn before her wedding. 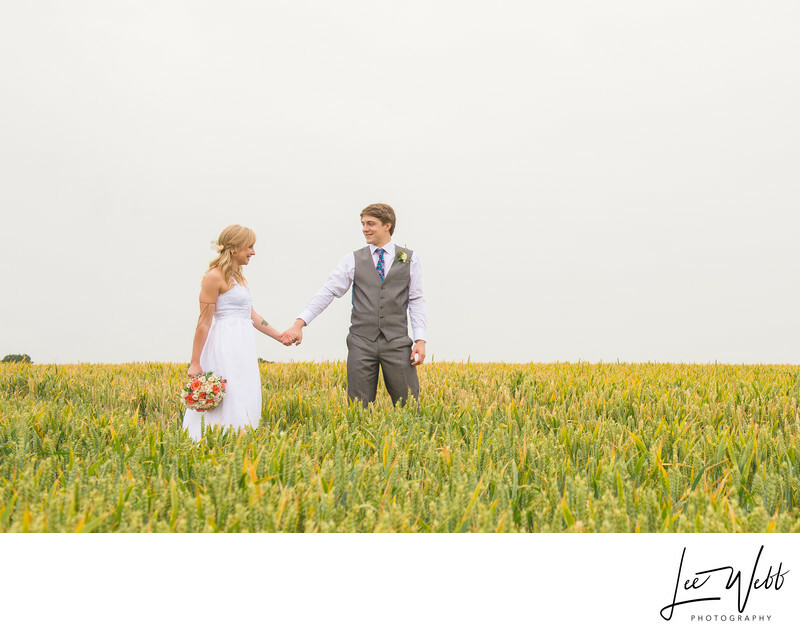 Mythe Barn is a wonderful wedding venue, hidden away in the Leicestershire countryside. The outside space is beautiful, there's a courtyard with a stone flag floor courtyard and perfect flower beds, as well as a manicured lawn and acres of surrounding land. The photo below was actually taken in a farmers field about half a kilometre away. One of the hidden gems of Mythe Barn is the bridal suite where the bride and bridal party are allowed to get ready in the morning. It's a lovely open room with windows on both sides, allowing plenty of natural light into the room which is very flattering. It's the mirror however that allows for the most impressive of photos however. In the picture at the top of the page, Brittany had just got into her wedding dress and had picked up her bridal bouquet for the first time. The winged mirror allows multiple reflections to be seen by the photographer if you make sure you're standing in the correct location for the shot. It allows for a really unique view, allowing you to see the front, back and both sides of the wedding dress in one image. For those who are wondering where the bride's dress came from, it was actually made my her maid of honour and is a one-of-a-kind!